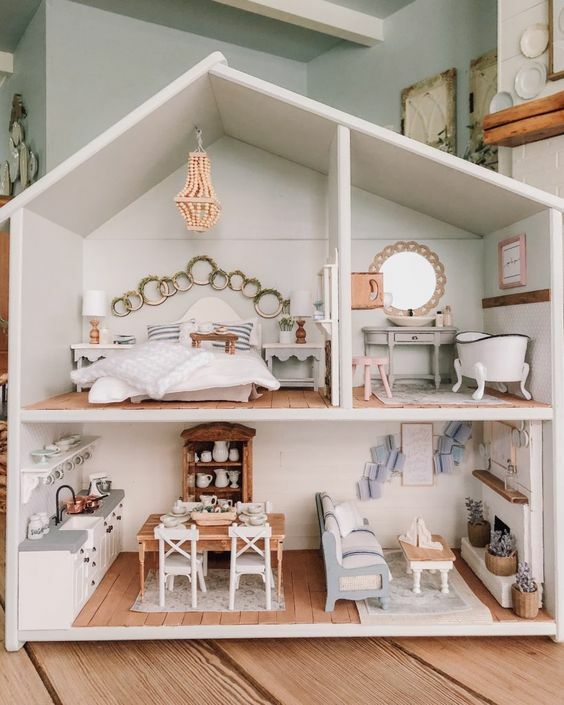 We all grew up with a dollhouse ... 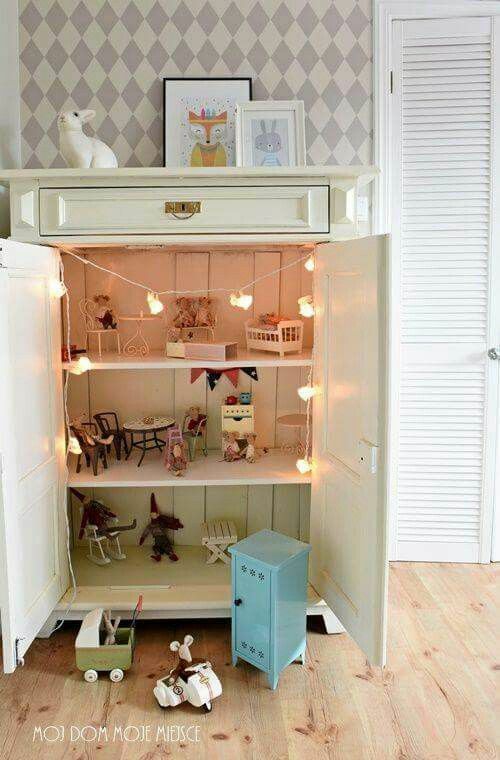 I have compiled simple ideas to create a play area for your children. 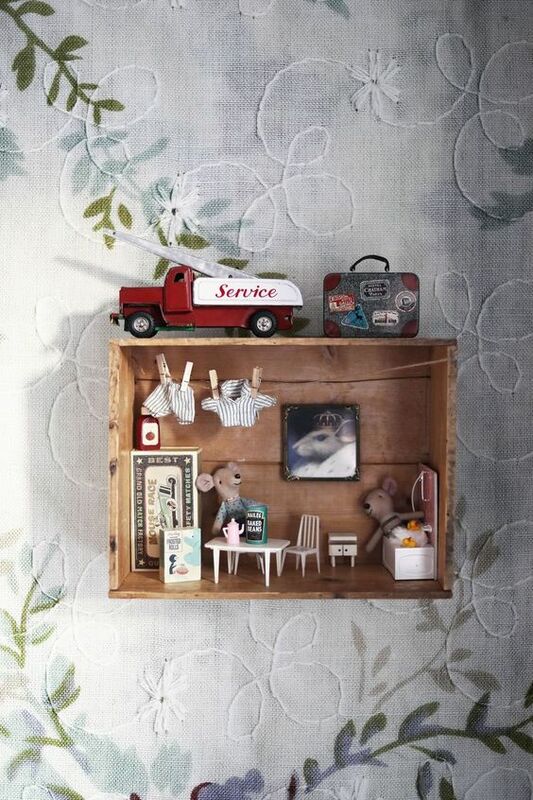 Here we simply invested the interior of a piece of furniture to install a small charming and cozy little house. 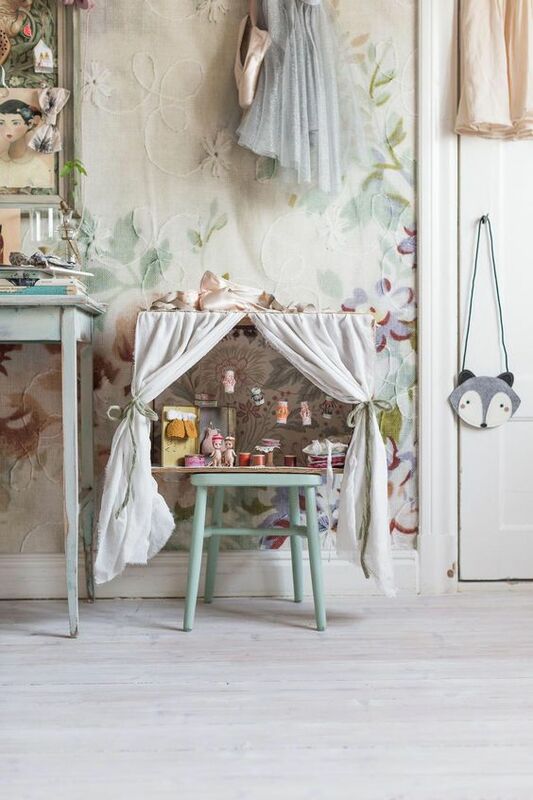 In the same spirit, we have here dressed a wooden box with pretty curtains and a floral wallpaper. I love this one, the colors are beautiful, look at the wallpaper is matched with the color of the walls of the house. 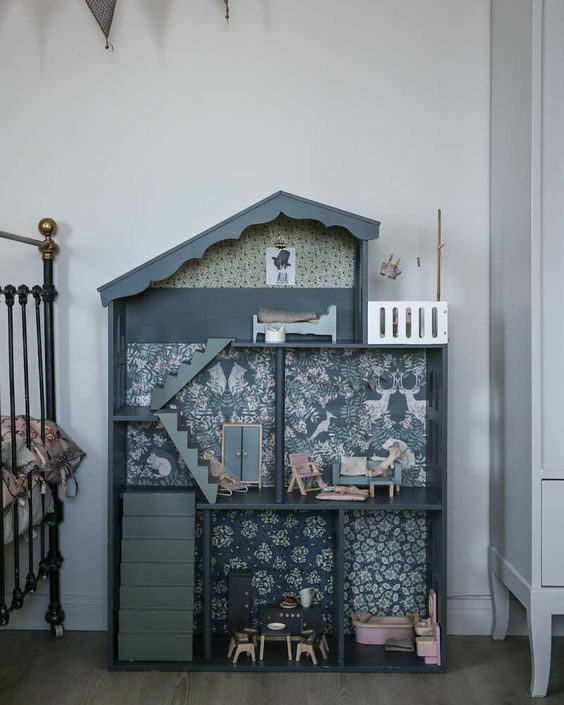 There is even a poster in the bedroom ... A marvel for this big dollhouse that allows children to play standing up. 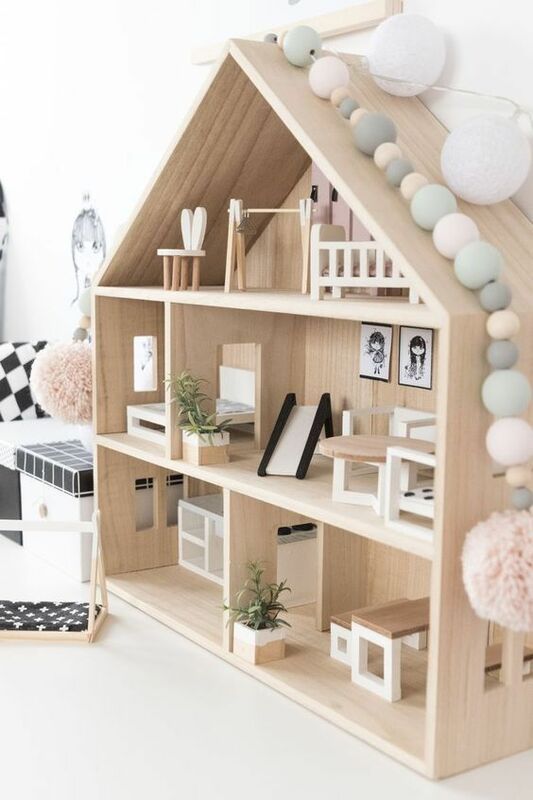 And here an idea of ​​a super modern house with Scandinavian lines. It is natural raw wood and the furniture is worthy of that of mom and dad. And here look at the detail in every room. I am a huge fan of the lion's leg bath and look in the room for the chandelier!